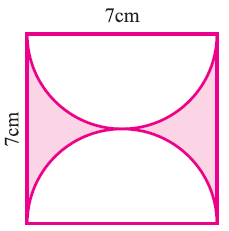 Here we are going to see some examples of finding area of shaded region. 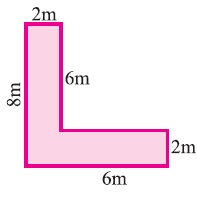 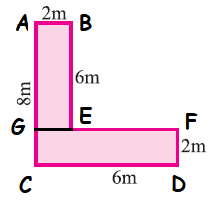 Procedure of finding area of shaded region will change problem to problem. 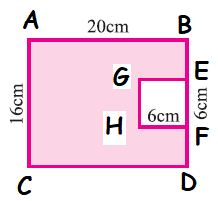 To find the area of shaded portion, we have to subtract area of GEHF from area of rectangle ABCD. 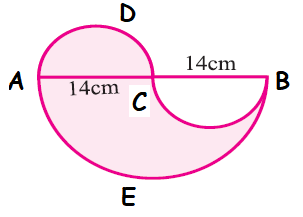 To find the area of shaded region, we have to subtract area of semicircle with diameter CB from area of semicircle with diameter AB and add the area of semicircle of diameter AC. 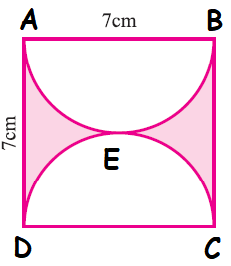 To find the area of shaded portion, we have to subtract area of semicircles of diameter AB and CD from the area of square ABCD. 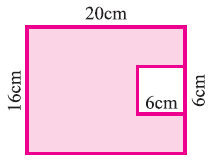 After having gone through the stuff above, we hope that the students would have understood area of shaded region. 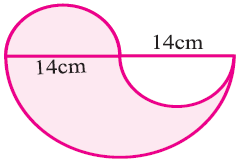 Apart from the stuff given on "Area of shaded region", if you need any other stuff, please use our google custom search here.